Enrico ‘Kiko’ Bellé began building bikes when he moved to Barcelona from Turin over a decade ago. 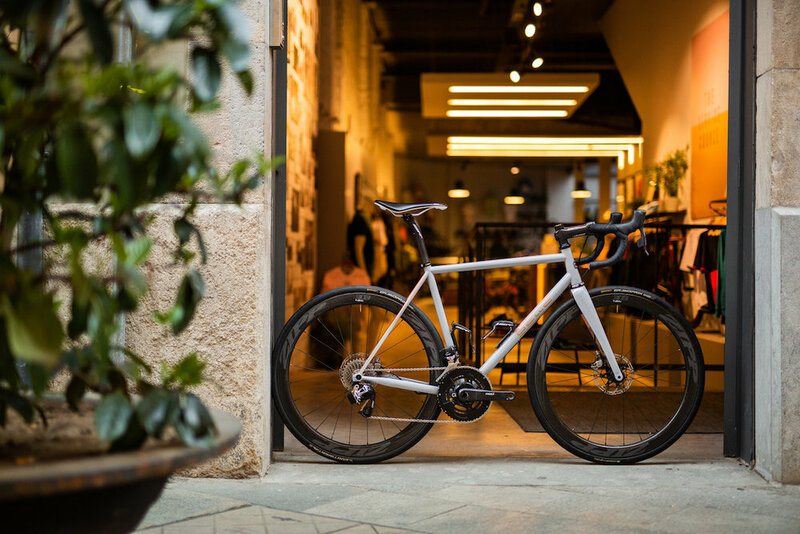 With a background in metalworking, Kiko’s bikes explore the near-limitless possibilities of modern steel. Incorporating tapered headtubes, varying tube sizes and curved seat-stays, every one of his builds is a unique creation using cutting-edge techniques. While the hallmark of a Bellé frame is its restrained aesthetic, his bikes have been some of the most experimental custom builds to come out of The Service Course. Whether a go-all-day gravel bike–such as Christian’s own bike, above, inspired by the colours of the Catalan sunset–or the versatile disc-brake equipped road models in our rental fleet, Kiko finds his own way of making a bike that rides exactly how he intends for it to. When it comes to building bikes, we put our trust in the experts. We believe wholeheartedly in what they are doing, so we leave them to it. The results speak for themselves. We are proud to feature Kiko’s disc brake SilkD bikes in our rental fleet at The Service Course, and to have helped customers find and create a custom Bellé of their own.